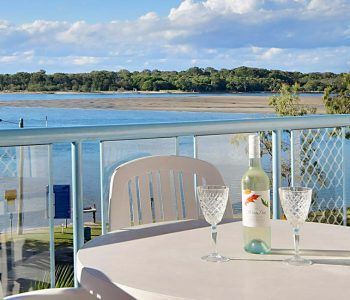 If you are in need of a year round holiday spot then look no further than this Maroochydore accommodation option. With a perfect sea-breeze in the summer and sunny in the winter, you have found the ultimate holiday apartment at Reflections Maroochydore. 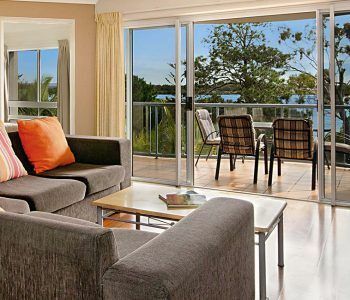 Enjoy riverfront accommodation in Maroochydore making for a peaceful holiday. From the banks of the river you can fish, swim, sunbathe, kayak or paddle board. This holiday truly is a water lover’s paradise. 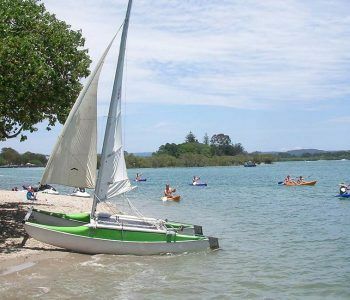 Hire a boat and explore the pristine waterways of the Maroochy River or just simply stroll along the riverbank or in the foreshore park and enjoy the sunset. Anything and everything is possible on your Maroochy holiday. If you want real beach with waves and sand then the Maroochydore patrolled surf beach is only a few minutes drive away from your apartment, you could spend the whole day on the beach or exploring nearby Cotton Tree, Alexandra Headland and Mooloolaba. Of course the Sunshine Coast is known for its attractions and you are not too far away from any of these when you stay at these centrally located Maroochydore holiday apartments. Within walking distance you find Ocean Street with its cafes, restaurants, bars and fortnightly markets. Then a little further a field is a big shopping centre – The Sunshine Plaza. Shop till you drop, enjoy a meal or take in a movie, this is the largest shopping centre on the coast. Don’t forget the family favourites, a visit to Australia Zoo, Underwater World, Aussie World or the Eumundi Markets are a must. As you can see this holiday will be packed with fun so book your Maroochydore accommodation at Reflections now.